Tattoos of a Vegvisir, Jaguar and the Kozlov crest. Grandfathers Kinzhal and whatever else is available. 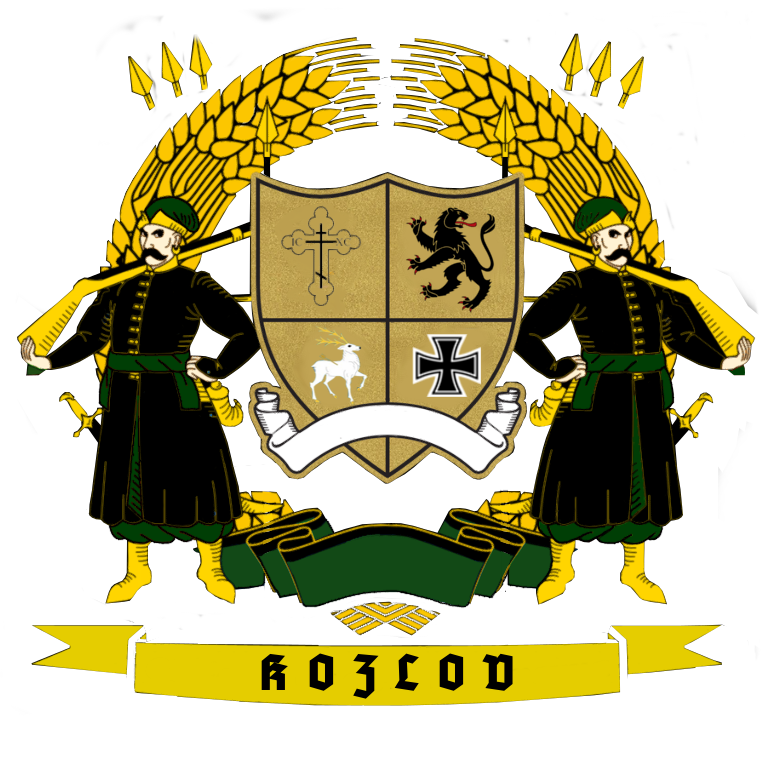 Pyotr grew up as the son to a conservative Cossack family living in the village of Nová Ves, Central Kopec Oblast. Life was simple for most of his youth and he spent little time caring about his future, this rapidly changed when the Civil War started in 2009. His parents died and the family estate was burned down by Chedaki, leading him and his brothers down a dark road of revenge. The rallied the rest of the family and together they waged a bloody campaign through the Chedaki controlled territory killing every Russian they could find. The war put a toll on all of them, some coping better than others however each of them had to pay their price. Pyotr started to have reoccurring dreams during that time, making it hard for him to find rest. He spent a lot of his time scavenging houses of alleged Chedaki, taking everything of value so he could invest it in his future later. When the war was over each brother went on their own way and passions. Pyotr's restlessness started to transfer into his life and he started traveling the world for a year until he found a new place to settle down in. He applied for University and started to study history. He left his old life behind, for the most part, hiding the cruelties of the Civil War from his friends. Every year, if he could, he would return to Chernarus during Christmas time to celebrate Orthodox Christmas with his family. In 2017 he decided to stay a bit longer to try and help out his sister who was in prison at the time by reaching out to his brother Ludvik. After Sofia's safety was taken care off he tried to move back home, away from his motherland still trying to find a brighter future however the airports got shut down. The outbreak happened out of nowhere and with his brothers around him, it was only a question of time until he would fall back into old patterns, picking up arms again. Together they reinforce their home town, taking in any of their neighbors and protecting them. Even though Pyotr still wanted to leave the country and go back to the new life he built for himself he wasn't able to just leave his family behind, so he found excuses over and over again to stay with them. More and more joined their settlement and it was only a question of time for them to run out of resources. In 2018 a small party consisting of the Kozlov brothers and a few close friends was sent to South Zagoria to secure all the supplies they needed. Their ruthless drive to accomplish their goal lead them to success only a month later however it came for a price. Unable to go home without settling some open bills Pyotr and his family now see themselves faced with countless adversaries and only a few friends. After fighting their enemies a bunch of times they started to wonder if it was really worth it. Their original goal was fulfilled and what were they accomplishing at this point? For every man, they shot two new ones emerged. Most of the group returned to Nova Ves, however, a few stayed behind to follow their own paths or continue fighting with the Kamenici. About a month went by in Nova Ves until Pyotr wanted to leave. He still had his own agenda and his people seemed to be cared for well enough so he left his remaining brothers in charge of the settlement before he headed out again.